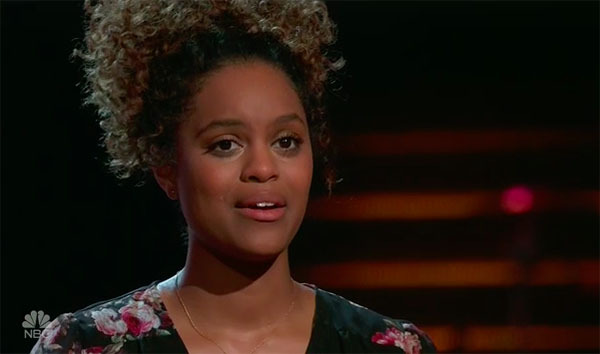 Spensha Baker sings her version of “Blackbird” on The Voice Season 14 Blind Audition on Tuesday, March 6, 2018. Kelly and Blake turn their chairs for Spensha Baker. Spensha Baker chooses to join Team Blake Shelton. She works as a real estate agent and sings gospel but she is open to learn country music.